It’s an apple over two decades in the making, and with it’s deep burgundy skin and sweet balance between sugar and acid, Bravo is a welcome breath of apple scented air. 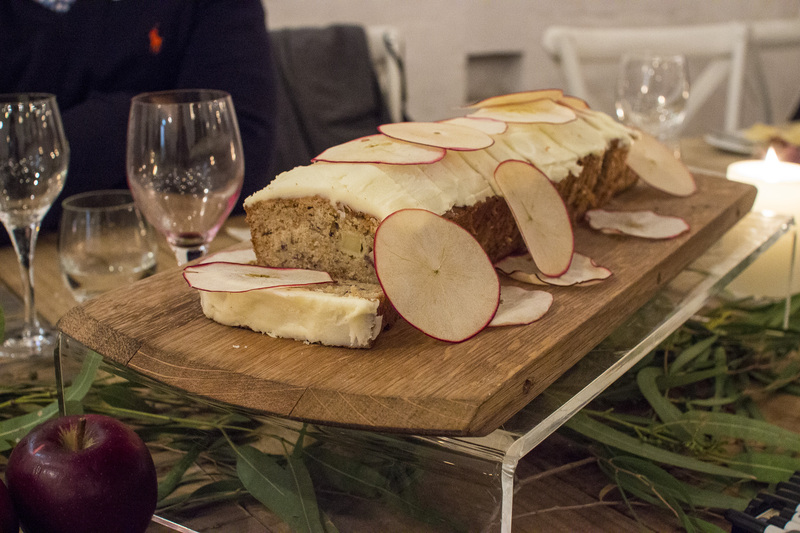 Developed and grown in Western Australia, this apple has now hit local independent retailers and Woolworths stores – and to celebrate I was invited to a beautiful twinkling light long-table dinner at City Farm with a three course menu designed by famed WA chef, Sophie Zalokar from Foragers in Pemberton. The night started as the sun set, with the late autumn chill greeting guests as Bravo apple-ixer cocktails were circulated. 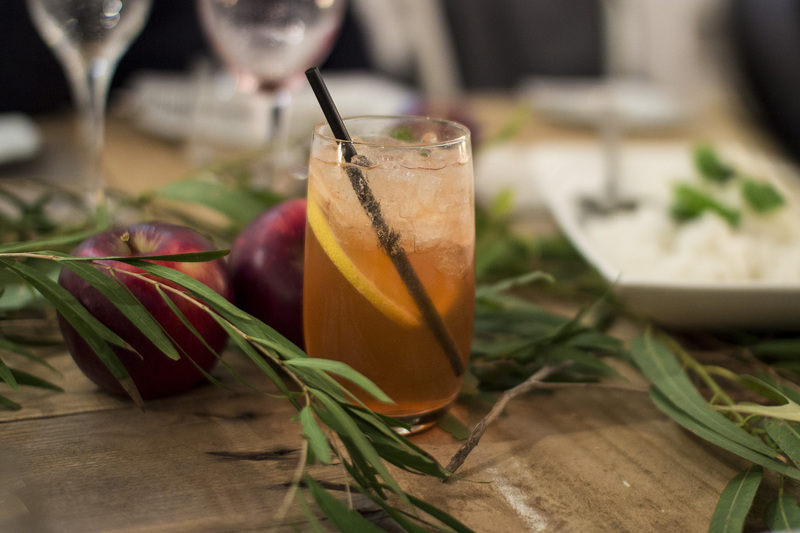 This drink highlighted the apple’s warm Christmas spice flavours, and shone from the addition of Campari which contrasted the natural sweetness with a slightly medicinal bitter taste. Refreshing, light and a wonderful way to toast to this game-changing fruit. After all, this is a product that has had tens (or even hundreds) of millions of dollars invested. And while it was a gamble – I think the fruit speaks for itself. It is a success – delicious and testament to what time and dedication can produce. 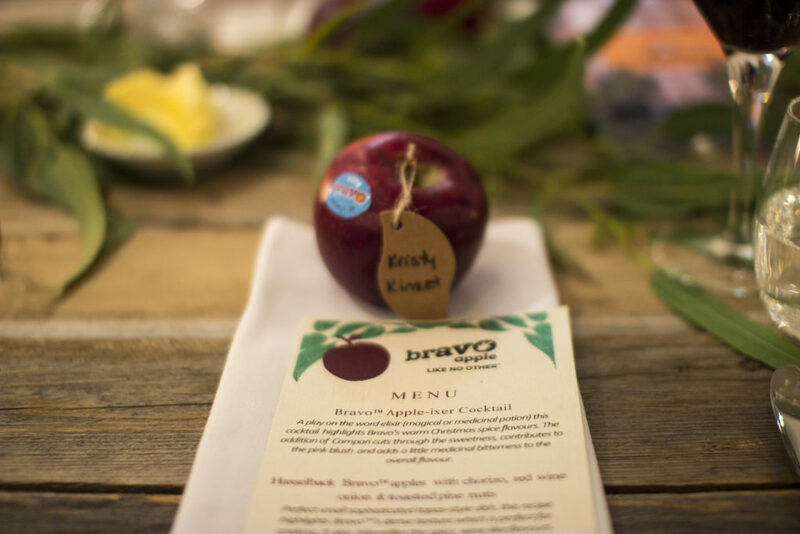 After moving in to the barn and taking our seats, we heard all about the history and life of the bravo apple, before digging in to our first course. 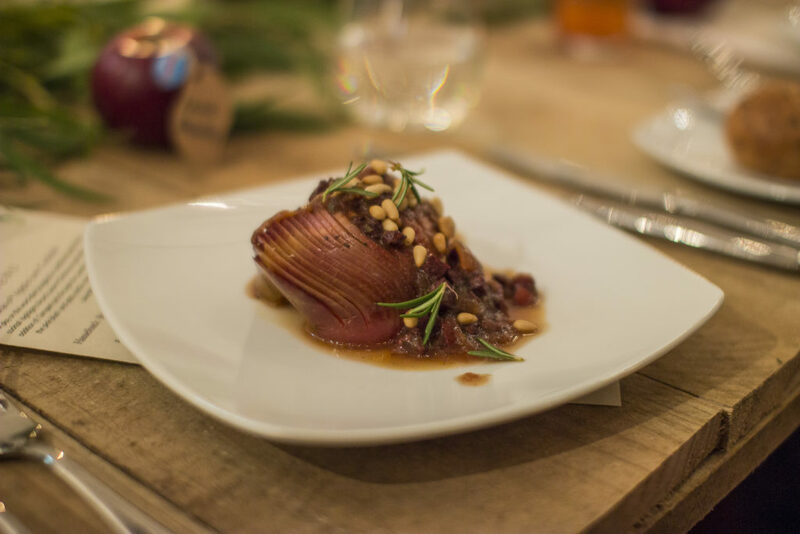 A half of the fruit sat on the plate, scored lightly to create layered slices and accompanied by chorizo, red wine onion and toasted pine nuts. It was a hearty and meaty dish; highlighting the apple’s dense texture. 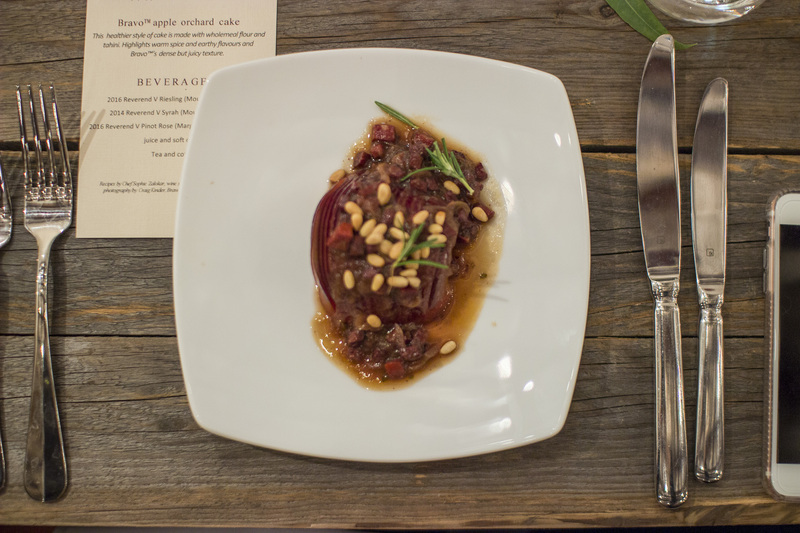 It had an almost jammy quality, with crunches from the nuts and comfort from the spicy pork. 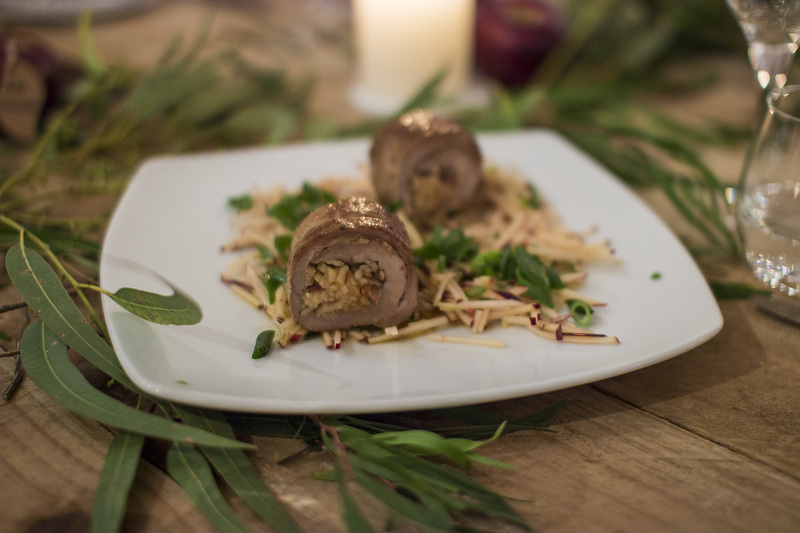 Our second course of rolled pork with miso, ginger, soy, spring onion and apple came to the table accompanied by plates of freshly steamed rice and mounds of bok choy and mushrooms. 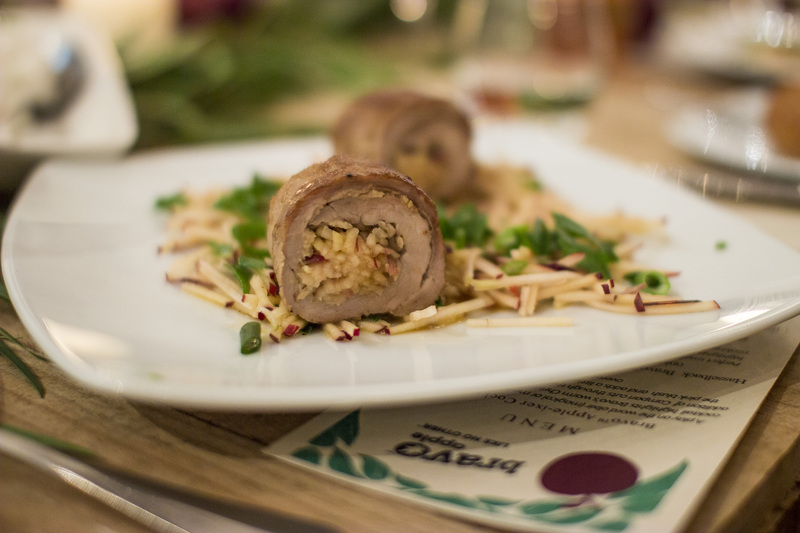 Pork and apple are a no brainer when it comes to flavour combinations, so this was no surprise to the palate. I liked seeing the cooked apples in the pork roll, and the raw batons underneath – they were each distinct and held a firm role on the plate. I thought having the rice to accompany was an excellent choice given the Asian flavours that were incorporated. We finished off dinner with what was my favourite course by a mile (not that the others weren’t tasty too!). The humble apple cake had a makeover with this beautiful, moist dessert. Made with wholemeal flour and tahini it was a healthier alternative but gosh it was good. Spicy, earthy and full of plump cubes of bravo. Really tasty. And I loved the paper thin slices of dehydrated apple decorating it. 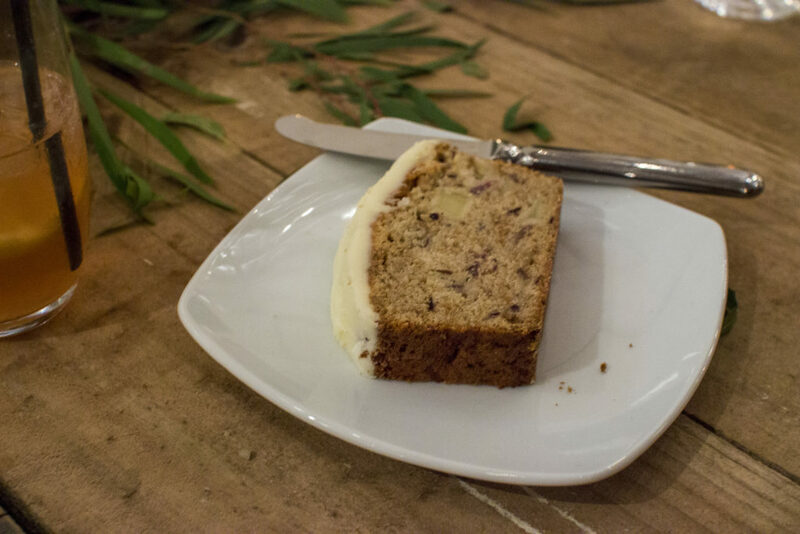 I gobbled up a couple slices of this cake! And I happily accepted the recipe card and a handful of apples to take home so I can recreate it. So, so yum and a wonderful way to finish our evening celebrating the launch of WA’s newest orchard pride. And for those of you who love a good apple – make sure you enter the #biteyourbravo competition on social media. The winner with the best picture will get a weekend getaway in the heart of apple country at Forages in Pemberton. I’ve been dying to get down there so it’s a prize I’m particularly interested in. All in all, a lovely evening with friends, producers, sellers and the like. If you haven’t tried a bravo apple, do yourself a favour and give it a whirl. They’re crunchy, satisfying and unique. I’m a big fan.